The perfect way to exercise and make friends without putting too much stress on the body. 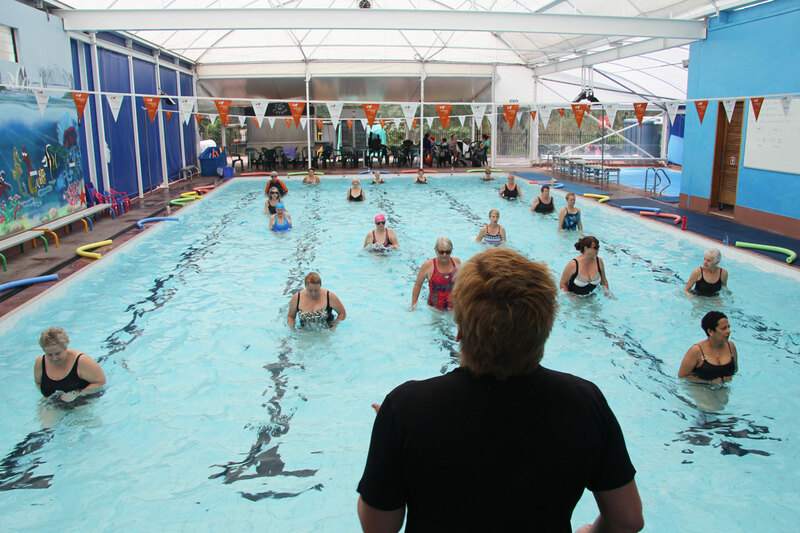 Run by a motivating and qualified instructor, our water aerobics classes provide a low impact exercise regime in warm water. This workout simulates muscles all across the body while keeping them at an ideal temperature. Please contact us for current session times. Copyright © 2014 John Carew Swim School. All Rights Reserved.